You are here: Home / College Admissions / What SAT Score Do I Need for a Top University? 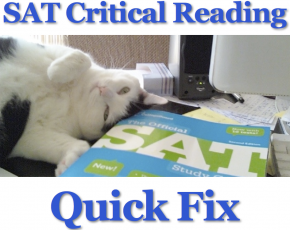 As I write this, it’s a week before Labor Day, which means you don’t have much time to get your best SAT score possible, and give yourself the best possible chance you can to get in to the college or university of your choice. So what SAT score do you have to get? The one that gives you the best, most realistic chance of getting in. I came some new info that gives you the scoop on what score you need for some of the best, and most popular, schools in the country. Take a look at the links below, find out what your goal is, and let me know if you want help reaching it! Hey! I’ll take the SAT in a week, and I just started real preparation by my own. Anyways, i’m going to re-take it in October, I’m sure I’ll do much better. Well, i’m from Morocco (it’s in Africa) and I need a full ride scholarship, absolutly. I’ve been looking for informations and I’m not satisfied at all (i guess I didn’t understand). Could you please tell me how to get a full ride scholarship, I want to study in the UCLA, but my gpa is 3 or lower. I just need to study in L.A because I want to take acting classes and pursuing my dream. Excuse me if this is all unorganized. I hope you’ll answer me. Thank you very much. Unfortunately, I don’t know anything that sort of thing. Keep pursuing your dreams, though. I wish you the best of luck! I want to get into UCONN, as premed, and ideas on the sat score & tips?